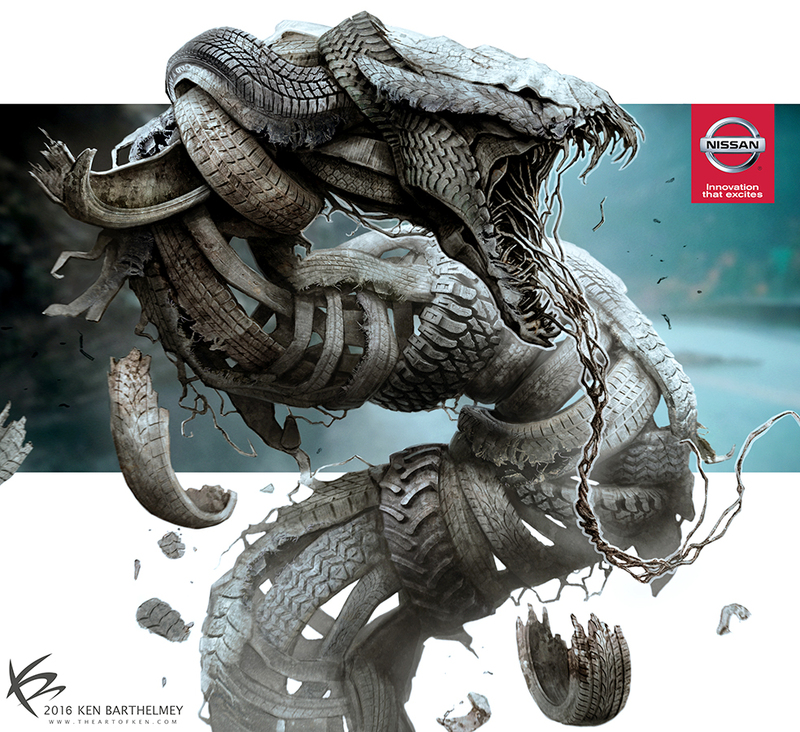 I collaborated with director Rich Lee in the very early stages of the production, helping to visualize the look of the Tire Snake which attacks the NISSAN Rogue. The final commercial was directed by Gerald McMorrow. The final spot was directed by Gerald McMorrow. One of my Concept Work I did in the very early stages of the production. The snake had to be entirely made up of old tractor trailer tires and look very mean. She is shedding rubber and tread, like a snake would shed bits of skin.